It is widely acknowledged that China's educational demonstration proves to be special and outstanding in the world. Since Reform and Opening-up, China has taken quite a few effective and scientific measures to promote the development of its education, which is remarkable and surprising. This book, therefore, introduces some descriptions of contemporary education in China in an objective view. 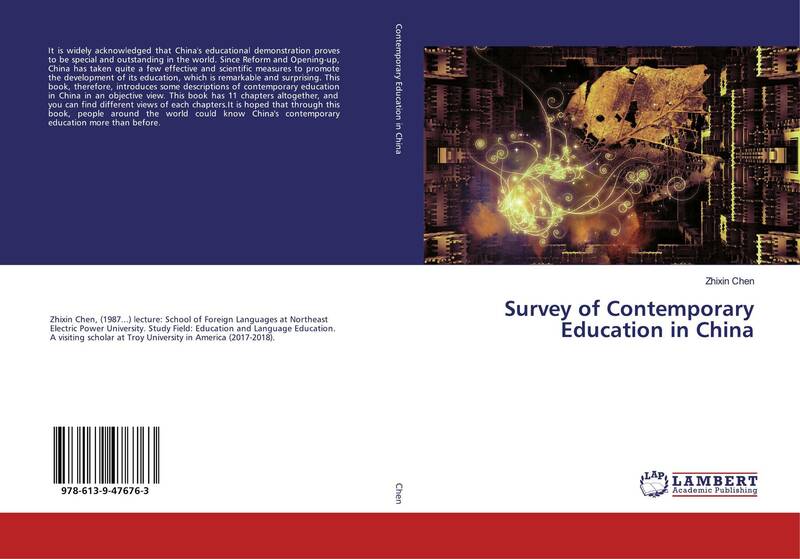 This book has 11 chapters altogether, and you can find different views of each chapters.It is hoped that through this book, people around the world could know China's contemporary education more than before.